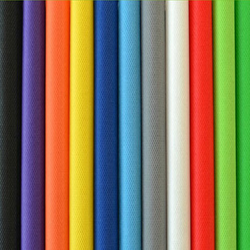 We are a leading Manufacturer of spun bond non woven fabric, thermal bonded non woven fabrics and needle punch non woven fabrics from Navi Mumbai, India. 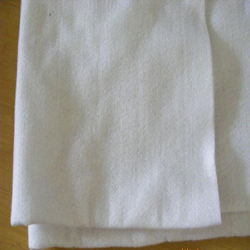 In thermal bonding, the controlled heat is applied for bonding the non-woven fabrics. 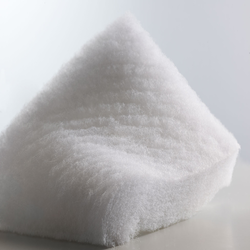 Here a low melt fibre or bicomponent fibre is introduced at the web formation stage to perform the binding function later in the process but the web fibre itself can be used. Production lines for thermal-bonded nonwovens also require less floor space & operator. Also the production rates of fabric production are very high. Needle-punched non-woven Geosynthetics Geotextiles have excellent water flow rates and are used for filtration of soil fines for drainage applications including trench drains, as a wrapping for perforated pipe, for erosion protection, and combined with three-dimensional structures to create prefabricated drains. They are also commonly used with geomembranes to provide a protective cushion.